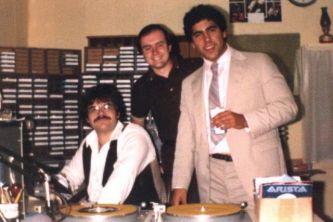 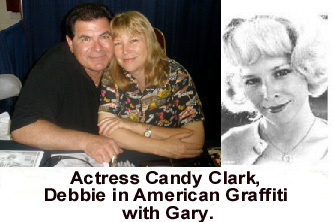 Pictured left to right: Gary, Bill Dempsy (newsman) & an unknown account executive. 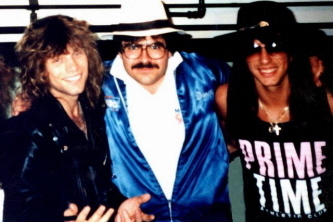 Very 80's...lol...Jon, Gary & Richie before a Bon Jovi concert in Syracuse, NY. 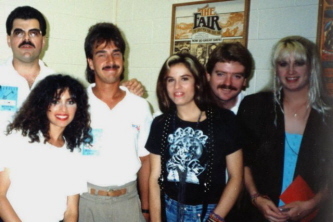 Gary, Mark Turcott (promotion director) and the late Neil Sullivan (PD) with the Bangles. 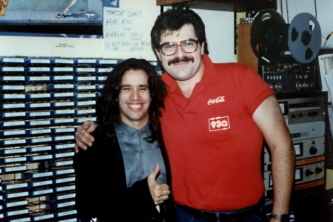 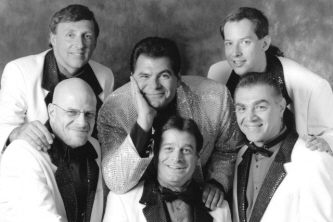 Record producer Jellybean & Gary at 93Q in Syracuse, NY in the 1980's. 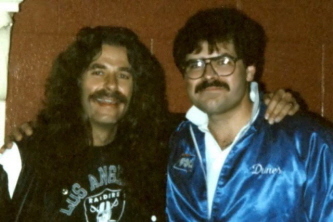 Mike Levin of Triumph and Gary before a concert. 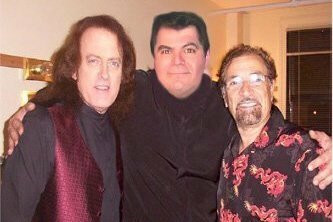 Tommy James, Gary & Felix Cavaliere before a show.